Amazon has pulled an advertisement from its website slamming the iPad mini after it was discovered that Apple's 7.9-inch tablet does in fact feature stereo speakers. 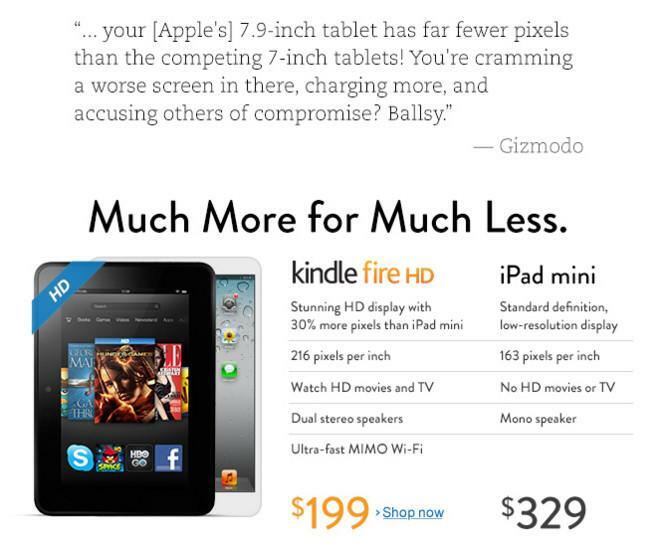 Following the announcement of the iPad mini, Amazon prominently displayed a comparison chart on its front page designed to promote the retailer's $199 Kindle Fire HD. In addition to criticizing the $329 price of the iPad mini, Amazon also claimed Apple's new tablet as a "mono speaker," while the Kindle Fire HD has "dual stereo speakers." But with iPad mini units now in the hands of reviewers, it has been discovered that the iPad mini does in fact have stereo speakers. That's an upgrade from all previous iPad models, and even the new full-size fourth-generation iPad, all of which have a single mono speaker. Joshua Topolsky of The Verge noted in his review that the iPad mini has a "good-sounding set of stereo speakers." The two separate channels are located on the bottom of the device, to the left and right of the centered Lightning port. On Wednesday, after the first iPad mini reviews were published, Amazon updated its website and removed the advertisement for the Kindle Fire. The 9.7-inch iPad has one speaker located to the right of the Lightning port on the back of the device. Stereo sound can still be achieved through external speakers or headphones. While Amazon touted the stereo speakers on the Kindle Fire HD at the product's unveiling in September, Apple chose to not reveal that the iPad mini has stereo speakers when it introduced the 7.9-inch tablet. 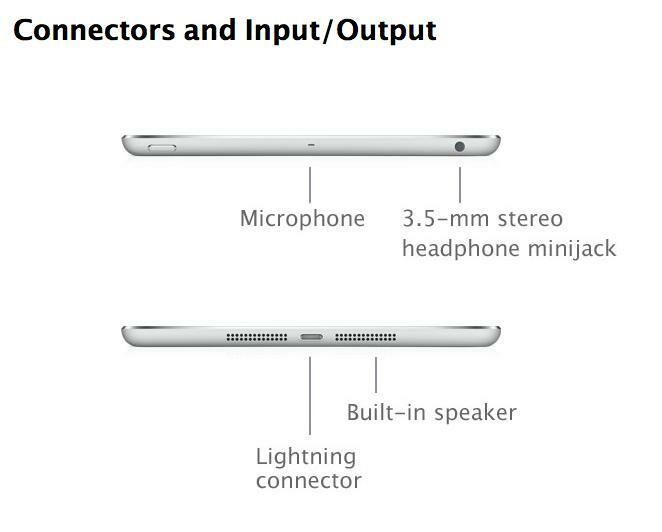 Apple's own website also led users to believe the iPad mini would have one mono speaker, as the "tech specs" of the device refer to only a singular "built-in speaker."